The organic way to clean your hands and stay healthy. 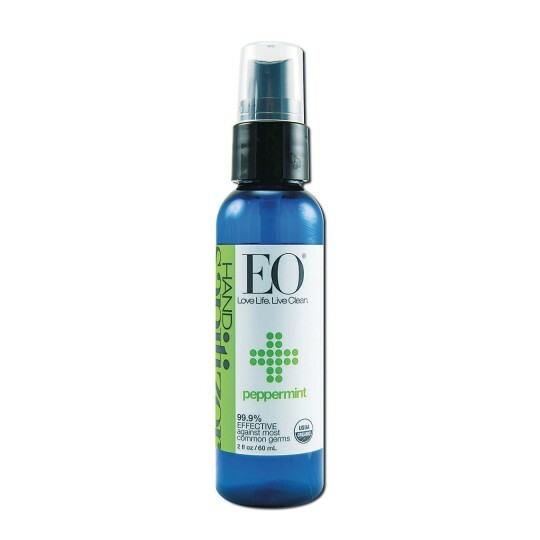 EO hand sanitizers keep hands refreshed, healthy and clean. 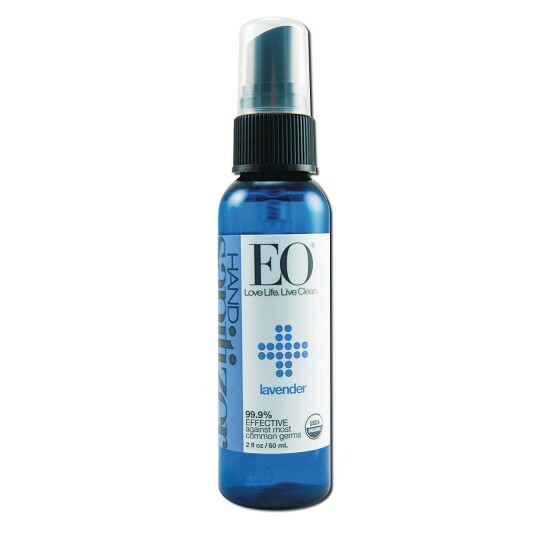 EO’s 62% organic alcohol (non-GMO) sanitizes on contact. Pure essential oils to pamper skin, with organic and nourishing jojoba oil. 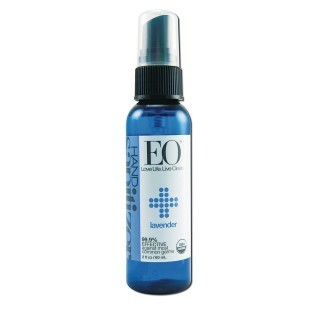 Vitamin E (a powerful antioxidant) and pure vegetable glycerin aid in maintaining skin hydration and health. Vegetable glycerin is naturally hydrating to soften hands. Certified Organic and 99.9% effective against common germs. Comes in 2 oz. container. Flammable, keep away from flame.